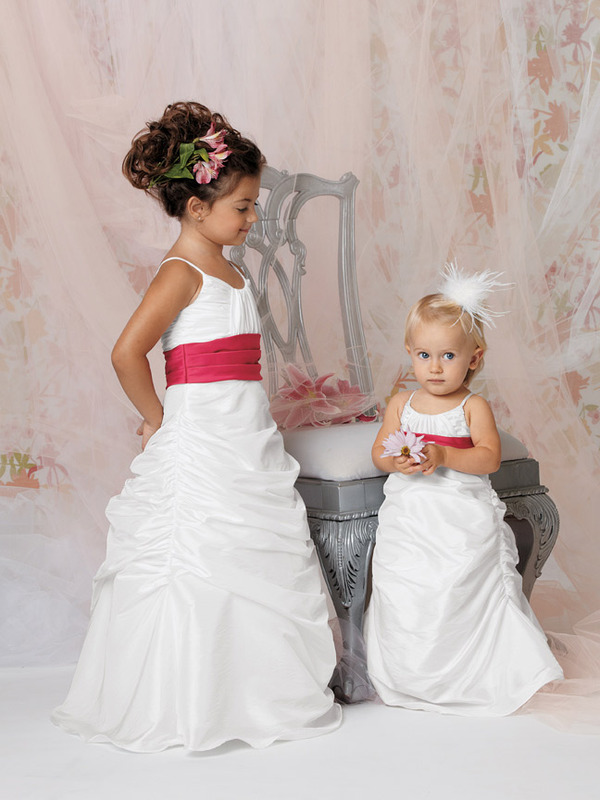 Shown in White/Azalea�Iridescent Taffeta dress with a shirred spaghetti strap bodice and draped & tufted skirt. Contrasting shirred satin waistband. Available in ankle and floor lengths. 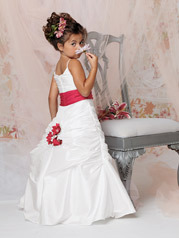 Available in any Iridescent Taffeta color in combination with any Crystal Satin color. Infant/Toddler verion available as style K290.